Made in the USA! 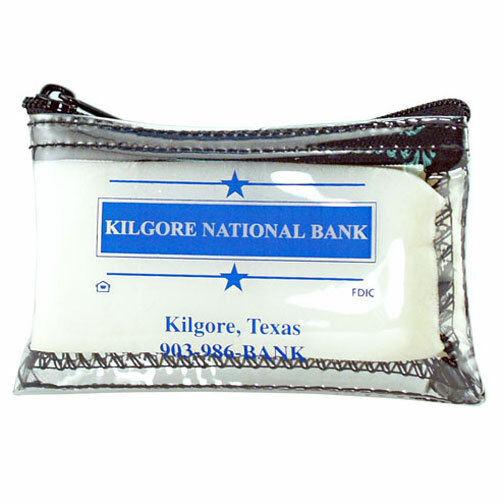 Standard Coin Bag 5"W x 3"H Made of 10 gauge clear vinyl with black nylon zipper, black chain stitching & seamed bottom. American made coin that is a great carry all for cash, coins, credit cards, identification, keys & more.